Upper body and thighs are particularly well suited. The area of skin chosen should be clean, dry, smooth, free from oil and, if possible, hairless. The skin should also be relaxed. 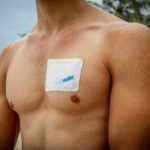 (For instance, if you stick the Bodywallet to the side of your body while lifting up your arm, the skin is stretched at this area and the Bodywallet won’t stick well once you lower your arm again).Please mind that you can reach the opening easily. Remove the backing paper from the adhesive side without touching the edges of the sticky side. 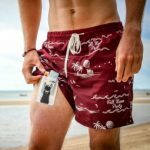 Stick the Bodywallet on your body, press down well and smooth out. Wait some moment before you fill it, so that the adhesive can attach firmly to your skin. Please do not fill with heavy or sharp items. 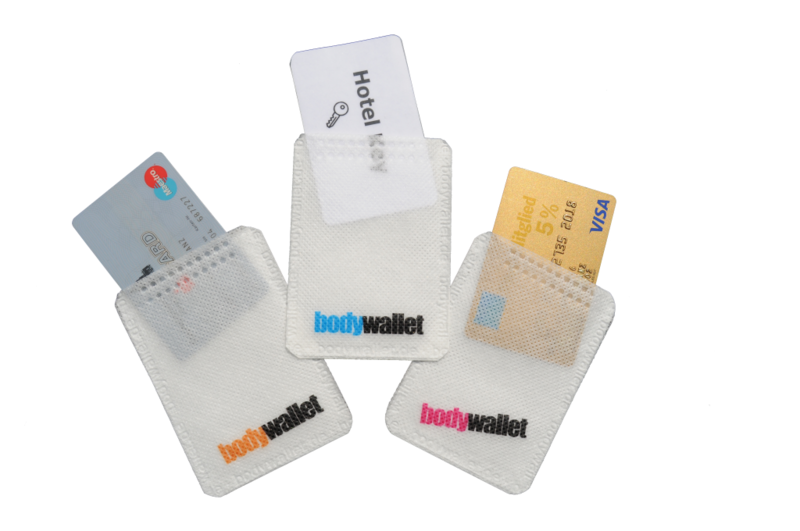 The Bodywallet will stick to your skin for up to three days, even when you shower or do sports. However, please note that the contents can get wet. Please check now and then if it is still firmly attached. The corners may lift slightly when you are active, without reducing the Bodywallet’s functionality. 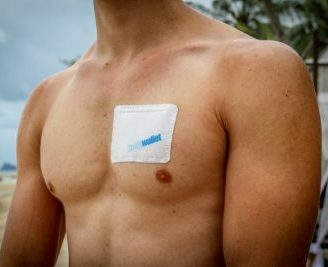 When the adhesive wears off or when the Bodywallet is no longer required, it should be removed from the skin and discarded. 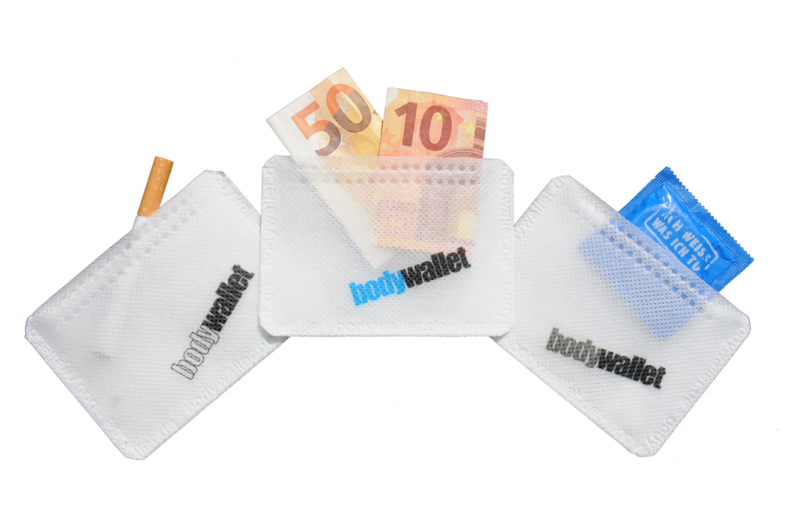 Once removed from the body, the Bodywallet cannot be re-attached. Please remove adhesive residue from skin with alcohol or common cooking oil. banknotes, credit cards, IDs or key cards, and also for light jewellery items such as small necklaces and rings. Should skin irritations occur, please remove the Bodywallet immediately! Please keep out of reach of children, in a cool, dry place, out of direct sunlight. 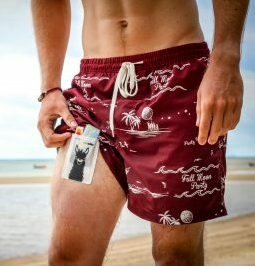 Use of the Bodywallet is at your own risk. The Bodywallet company is not liable for damages caused by loss or theft.